Hi there all, welcome to Mrs. Lincoln's Inkin'! 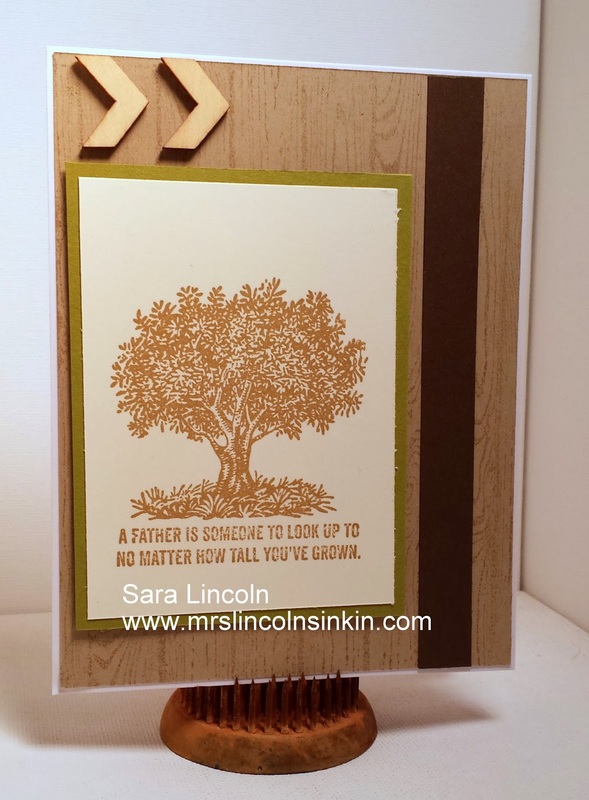 Today's share is of a masculine card using the new stamp set Look Up To Father, available right now in the Occasion Mini. This week we have to birthday's to celebrate. My wonderful dad's was today (the 27th) and then my grandfather's is tomorrow (28th). Therefore i thought it was be a perfect time to showcase this stamp.